Although 3D Touch is mostly useless right now, the feature has some great potential as a utility once developers start making apps with it. The latest app which uses the 3D Touch feature lets you compare the weight between two objects. 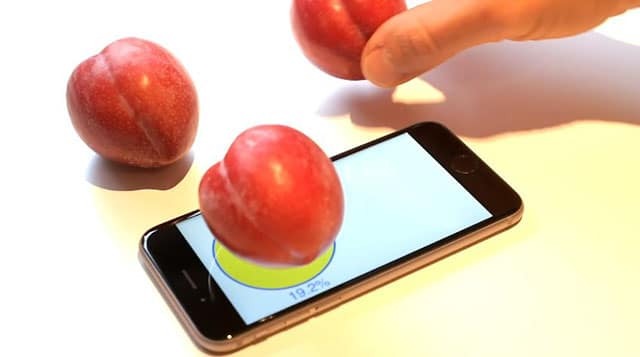 The app named Plum-O-Meter, named like that because the developer wanted to know which of his two plums was heavier, works by putting two objects on the iPhone 6s’ screen. The heaviest object will be highlighted in a yellow circle. The app only compares the weight of the two objects and only gives a percentage of the weight of the two item, it will not give you the total weight. So if you want you want to compare two bricks of yay, you will have to wait for the iPad version of this app once Apple release its next iPad with 3D Touch next year. If you are curious and want to try Plum-O-Meter, you will need to sideload the app on your device. You can download the app from GitHub.